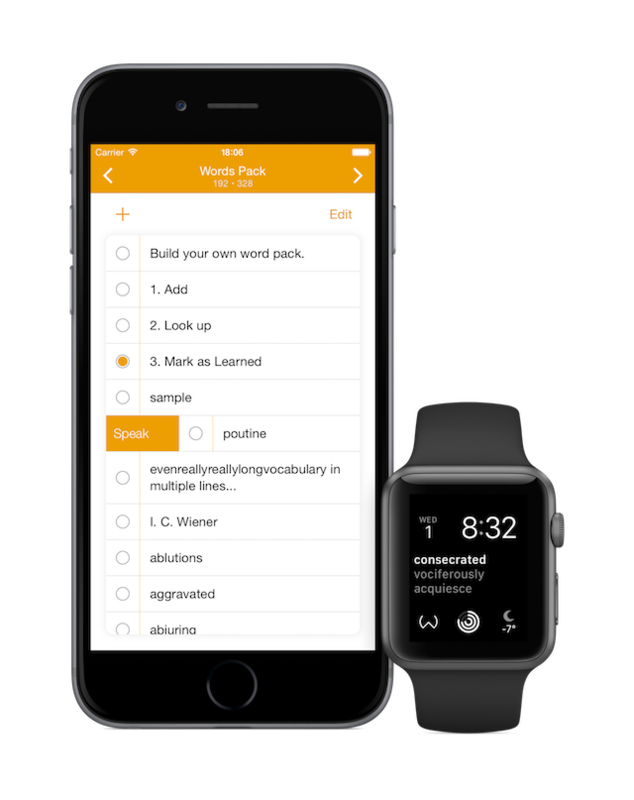 Wordio is a simple and easy–to–use tool for collecting and learning new words. 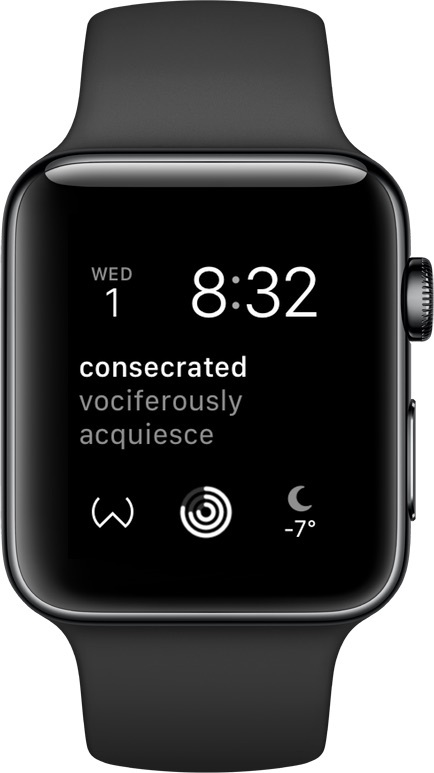 Build your own word pack by adding a new word with widget. 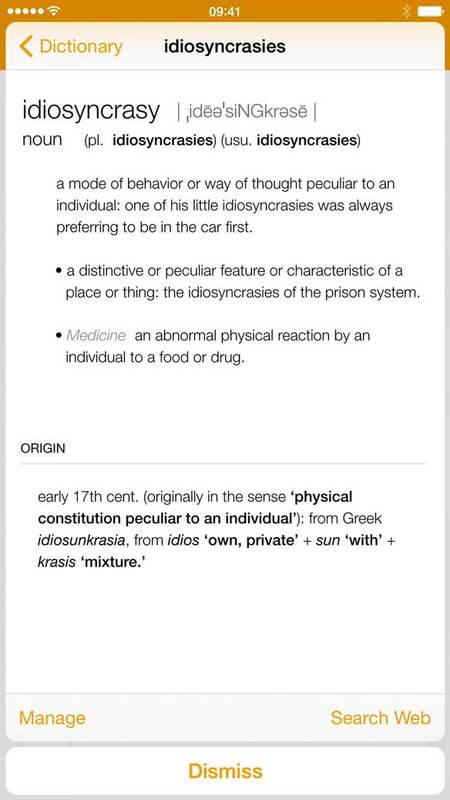 Then, look it up on the fast and lightweight built–in dictionary with just a single tap. After you’ve learned the word, check it off to archive it. It is a very simple yet effective way to improve your vocabulary. Wordio는 간편하게 모르는 단어를 모으고, 배울 수 있는 앱입니다. 손쉽게 단어 팩을 직접 만들고, iPhone 기본 사전으로 뜻을 찾아보세요. 모르는 단어를 배운 다음에는 배운 단어로 체크해서 보관하세요. 단어 공부를 위한 단순하지만 효과적인 방법입니다. Add New Word without Pain. Copy a new word, swipe down, and tap. 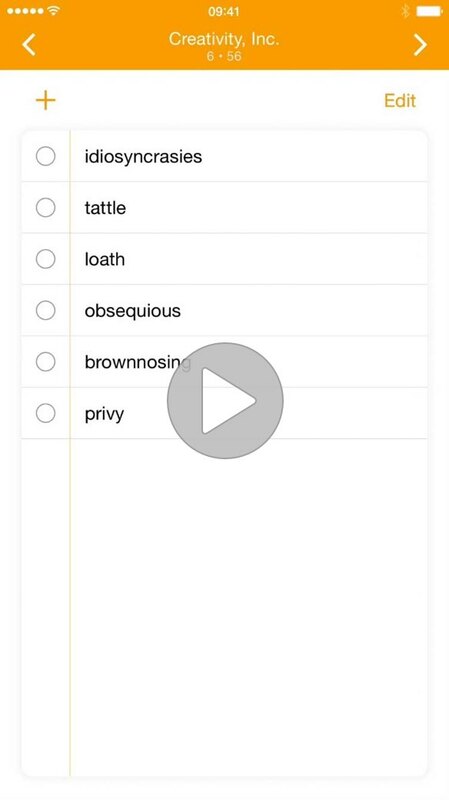 Add the word to your vocabulary pack directly, from anywhere using Wordio widget. 단어를 복사하고, 쓸어내리고, 탭하면, Wordio위젯을 이용해서 바로 단어팩에 단어가 추가됩니다. 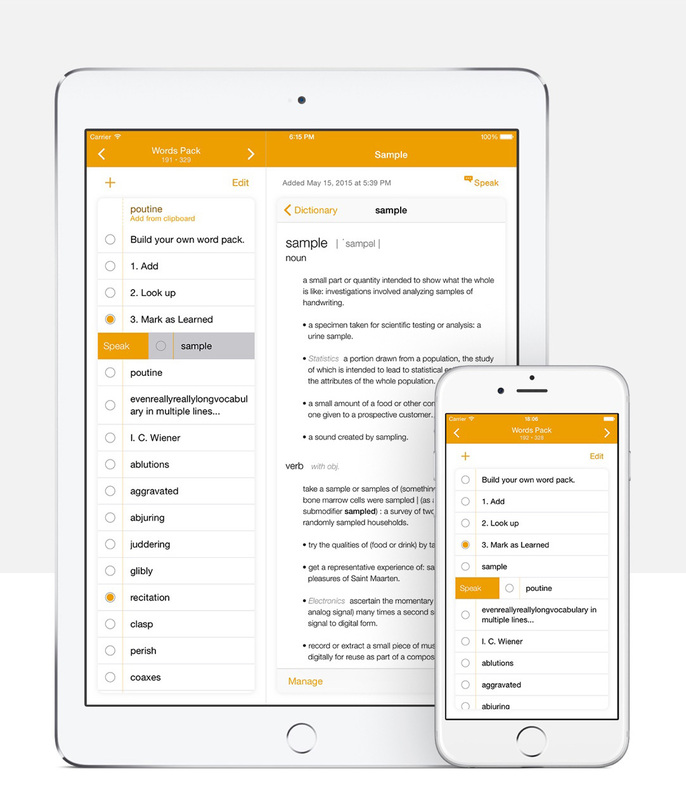 iOS built–in dictionary is simple and very fast. It also works offline. And supports multiple languages. iOS에 내장된 사전은 간결하고 빠릅니다. 인터넷 연결도 필요없죠. 여러 언어도 지원합니다. Slide to hear what the word sounds like. Pull more to speak slowly. 슬라이드해서 단어가 어떻게 발음되는지 들으세요. 너무 빨리 말하나요? 더 많이 당기면 천천히 발음합니다. 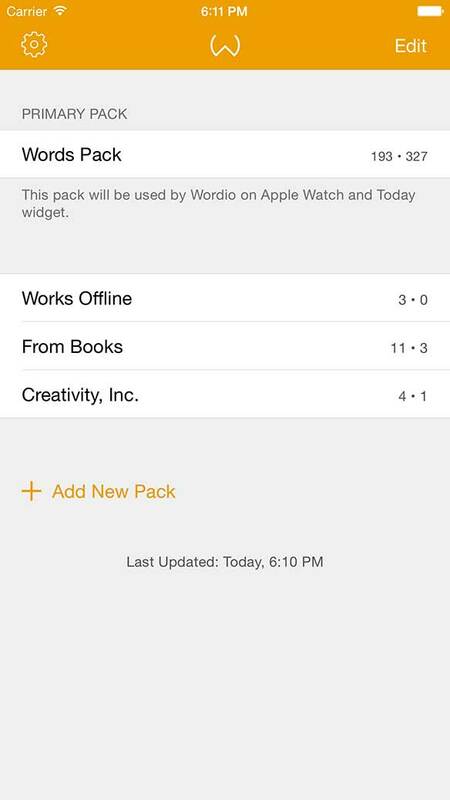 Wordio keeps your word packs in sync across all your devices. Silent, swift, and smooth sync powered by CloudKit. Wordio는 CloudKit을 이용하여 모든 단어팩과 그 내용을 모든 디바이스에 조용히, 빠르고, 부드럽게 동기화합니다. 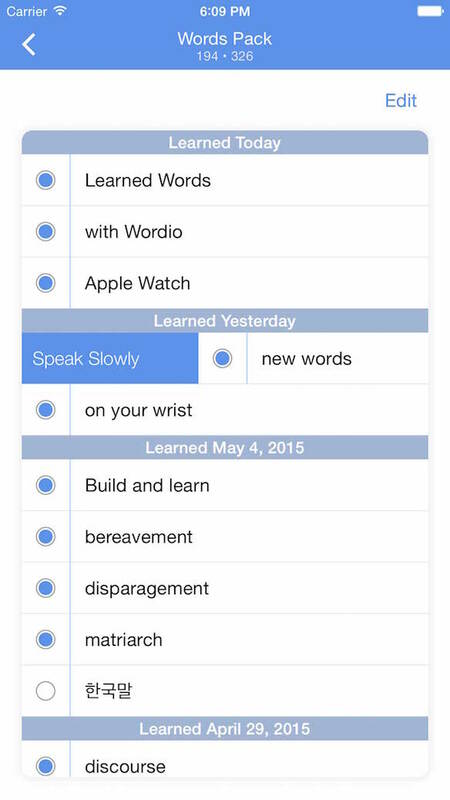 With Wordio complication and native Apple Watch app, wear new words and memorize them every moment. Apple Watch로 새로 추가된 단어를 자꾸만 확인하면 기억이 됩니다. 배운 단어로 체크하고, 발음을 듣고, iPhone으로 넘겨서 사전을 바로 찾아볼 수 있습니다. It’s only $5. Get It Now. 단돈 $5입니다. 지금 다운로드하세요.